Regular readers of Anne On Fire know there is no sponsor for this small blog. However, after six months of regular posts it seemed appropriate to take a commercial break from the storyline to update readers on a couple of things. First, we just hit our 3,000th view. This seems, well, ridiculously miniscule given all the big bloggers out there. But when Anne on Fire started, I wasn’t sure it would make it past its second post. Now, there have been dozens of posts (hopefully not too many but as in the story of the Three Bears, something “just right”) and more importantly,there have been more comments than posts. 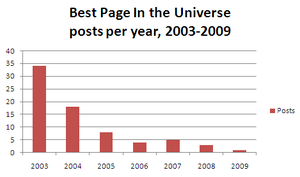 In fact, more than double the comments for each blog post. This either tells me people like to comment, or that there is a wonderful support network out there, or that maybe these posts hold the interest of our dear readers – or some combination of all of the above, none of the above or just some good stuff. Also on the good news front, my critique professional “K” let me know she saw some hope in moving ahead with the Anne on Fire book. This is certainly encouraging and certainly means more work for me on that front and more posts to come as the blog continues to be the platform for research and an unfolding storyline. And now, back to our regularly scheduled blogging……. 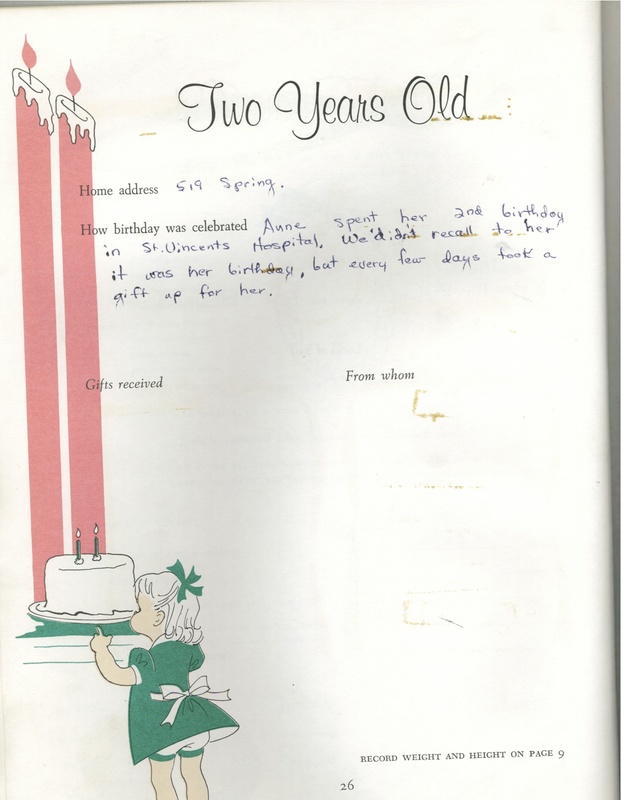 Now that I am a regular reader of my own baby book, I thought I would share this entry from my mother on December 8th, my birthday, the year of the burn, “Anne spent her 2nd birthday in St . Vincent’s Hospital. We didn’t recall to her it was her birthday, but every few days took a gift up for her.” It’s unclear whether I spent my 2nd birthday or my 3rd birthday in the hospital — my mother’s entries had some inconsistencies on the years. It’s understandable of course, the woman was going through some rather traumatic stress in her own right. When I think about this, I might have done exactly the same thing with my small child if faced with a similar situation. I mean, why remind them of something they probably wouldn’t understand anyway. In any event, happy birthday to me. How would you handle a situation like this with a 2- or 3-year old?